Stellar updated - Ranch one-level patio home located on quiet circle, next to restaurants, shopping & banking. Open floor plan with new wood plank flooring & carpet. Grand size living room, front office/flex room. Kitchen with an abundance of cabinetry, breakfast bar, plus: dishwasher, range, microwave & refrigerator. Dining room has private views & large deck. 4 bedroom/1bath home with finished hardwood floors, new kitchen countertops, tile flooring and 2 car detached garage for rent. Home is the neighborhood beside the new Costco. Rent is $1175 a month with $1000 security deposit. Pets are allowed but $500 of security deposit is then non-refundable. Must be able to show that income is 3x monthly rent and credit score above 600. Beautiful ranch style home close to the Summit, interstates, and the Ford Plant offers three bedrooms, and two full baths, including a huge master with vaulted ceilings. The open floor plan has a spacious kitchen that flows into the great room with fireplace. The fireplace and carpet is only two years old. Beautiful all brick 2 bedroom, and 2 full bath Townhome in the East end with a full basement for just $910! Wow! Close to interstates, and the Summit, you will love calling this home. Well kept, and maintained this home is clean, spacious, has updates, and is move in ready. 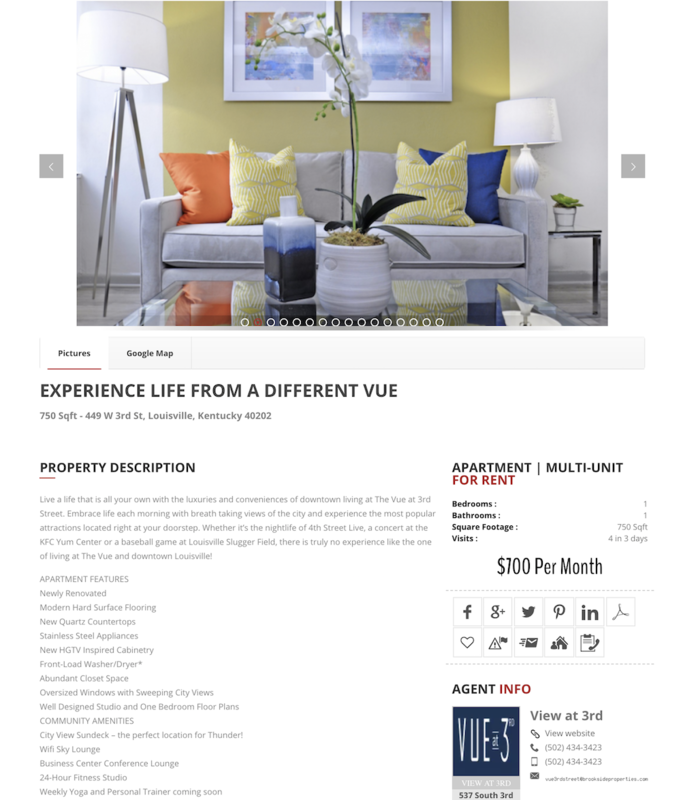 Opportunity to rent a spacious 2 bedroom home for just $700! Close to the Tarc line, shopping, and major thoroughfares, this home is perfect for the budget conscious tenant in need of a nice rental. : 2nd floor loft apartment. Have your morning coffee on your private deck overlooking Bicentennial Park. Loads of oversized doors allow plenty of natural light into your kitchen and living room. Beautifully restored historic building in downtown Corydon. Close to restaurants, walking paths and park. Only 20 minutes to Louisville. You must see You must see this well managed, and well kept gorgeous, and renovated King's Cross town home that is immediately available. Special features include fresh paint, wood design floors, professionally cleaned carpets, new flooring, and new Hampton Bay five blade ceiling fans. Beautifully restored historic building in downtown Corydon. Close to restaurants, walking paths and park. Only 20 minutes to Louisville. If you're looking for a peaceful place to lay your head then this beautifully modern loft apartment may be just for you. Check out this clean 3 bedroom and 1 full bath home. 2 of the bedrooms are in the basement. Home has washer and dryer hookups with nice yard. Rent is $1050 with $1000 security deposit. Pets are allowed but $500 of security deposit is then non-refundable annually with pets. Fully fenced back yard. Proof of income, application and credit check is required. 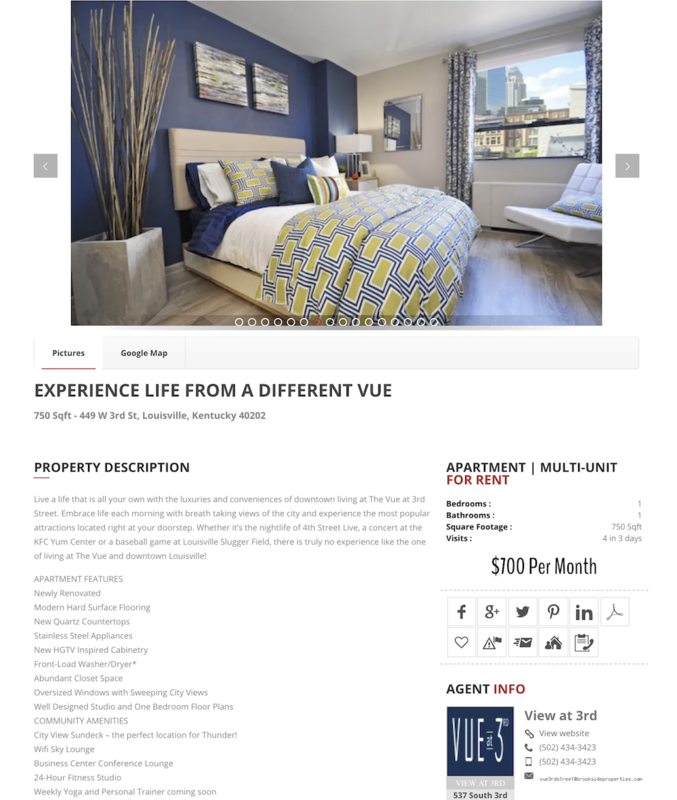 This second story non-smoking 2 bd 2 ba unit is located in a renovated Brownstone conveniently close to NULU and downtown restaurants. 2 large bedrooms are located upstairs from main floor with a large rain shower bathroom. Hardwoods throughout with a living room that boasts a full size sofa bed. Remodeled just last year, this apartment in the Cherokee Triangle offers new flooring, recent fresh paint throughout, new light fixtures, ceiling fans, more! 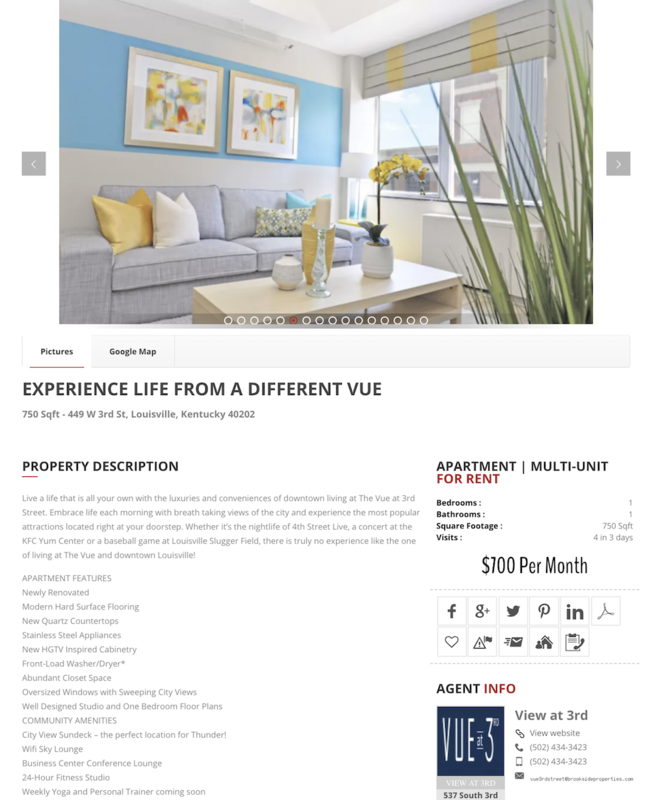 Laundry hookups are directly accessible from the unit, and the location is close to both the parks and interstates, as well as the Bardstown corridor. Landlord pays for water and trash as well.